Coating for metals – TECNAN-NANOMAT "Think big, Act Nano"
It provides a highly durable cleaning effect by the creation of a colorless film which acts as a barrier, avoiding dirt from sticking to the surface, making easier the cleaning of the metallic surface and protecting it against corrosion. In addition, this coating provides improved fluid dynamics to metal tubes and conduction channels. TECNADIS METALCOAT is directly applicable in agrifood industry, home appliance, food-related industry, kitchenware, vending machines, water treatment plants and waste processing companies, industrial cold and heat exchangers, plumbing and trims sector and ceramic ware sector. 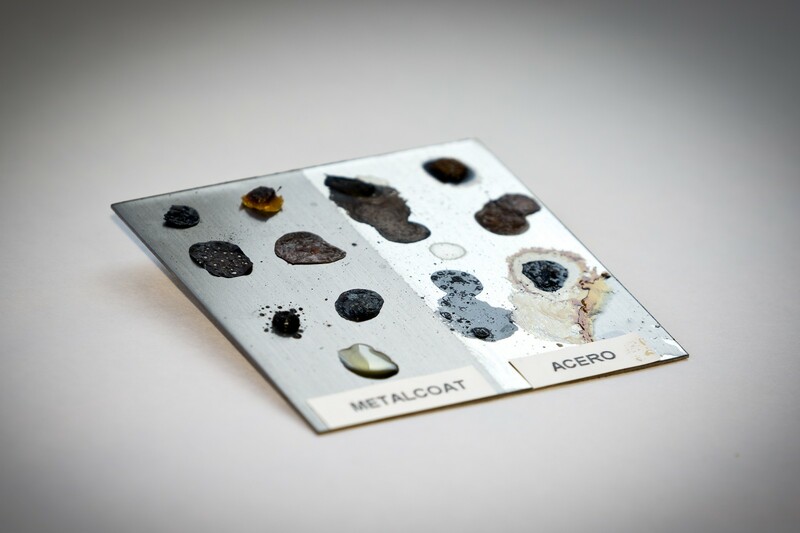 Thanks to its multi-purpose technology, apart from these direct applications in stainless steel, TECNADIS METALCOAT can be also used for many other kind of metals and applications such as for metallic structures protection, to protect electrical circuits from water and humidity or cleaning of molds in smelting and forged industry. – Product for easy cleaning with hydrophobic and oleophobic properties. – It prevents dirt particles from sticking. – It presents a permanent effect according to the requirements of some of the most important appliance producers. – High heat shock resistance at 350ºC. – There is not migration risk, in agreement with Directive 2005/31/CE and Regulation 1935/2004. – It presents good resistance to acids, bases and solvents. – It is a transparent product, keeps the natural colour of the metal and the metallic surface. – Easy application by means of common coating or painting techniques.